New Delhi : After a long tussle, it is now confirmed that famous leader Shatrughan Sinha will be contesting in the Lok Sabha Election 2019 from his favourite Patna Sahib seat. He officially joined Congress on Saturday in New Delhi. From Patna Sahib, he will be fighting against Bharatiya Janata Party's leader Ravi Shankar Prasad. He had snubbed BJP soon after the party announced the latter's name from the seat. Earlier, on Saturday, actor-turned-politician Shatrughan Sinha officially joined Congress Party at a function in New Delhi in presence of senior party leaders KC Venugopal and spokesperson Randeep Surjewala. At the function he slammed Bharatiya Janata Party of being a one-man party. He said, "I saw democracy changing into dictatorship in the BJP…It has become one-man show and two-man army." 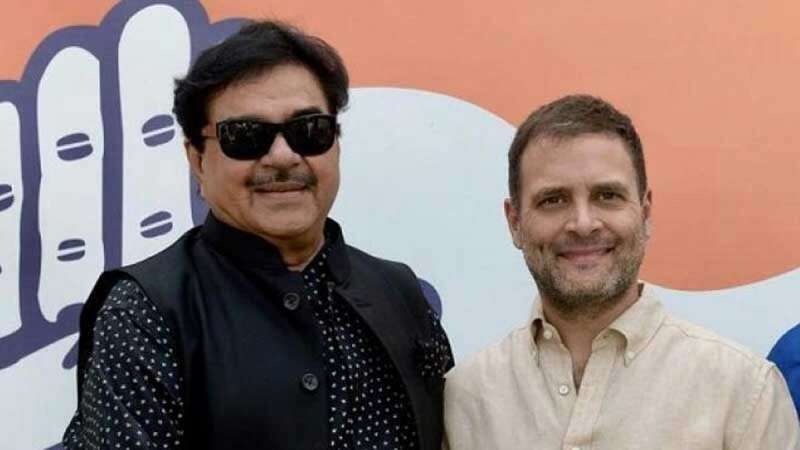 Talking about his views on Prime Minister Narendra Modi, Shatrughan Sinha said, "I used to call him dashing and dynamic…for his 56-inch chest…Today, Rahul Gandhi is the face of the nation and future of the nation."